Since I was a little girl, I have left a “wake” behind me everywhere I go–cupboards left open, shoes kicked off in the middle of the hallway, and spills on the kitchen counter that should’ve been wiped up immediately but I didn’t even notice them. Luckily, I have a very wise friend who is teaching me better habits. Candi Kidd (who was our guest in Episode 001!) 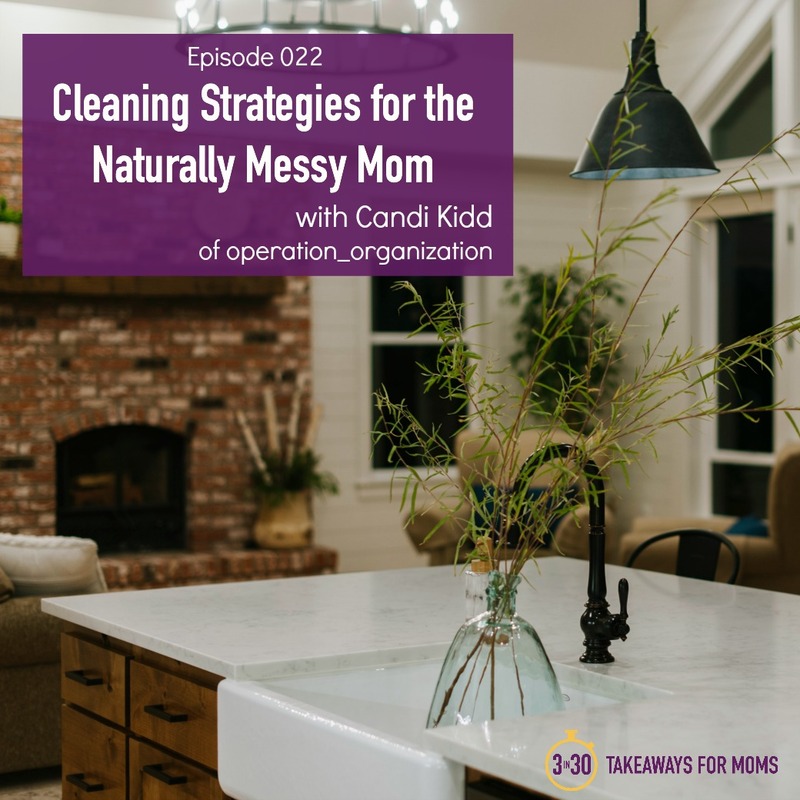 teaches moms who are naturally messy like me how to keep their lives more tidy and orderly. And her tips can really help any mom, even if you are naturally a neat-freak (P.S. you amaze me), because we all live with children…and children bring chaos and confusion along with them everywhere they go. 1) Be a detective to find and then solve the messy spots in your home. 2) Lower the “activation energy” it takes to get started with cleaning. 3) Focus on completing one J.O.B. per day. 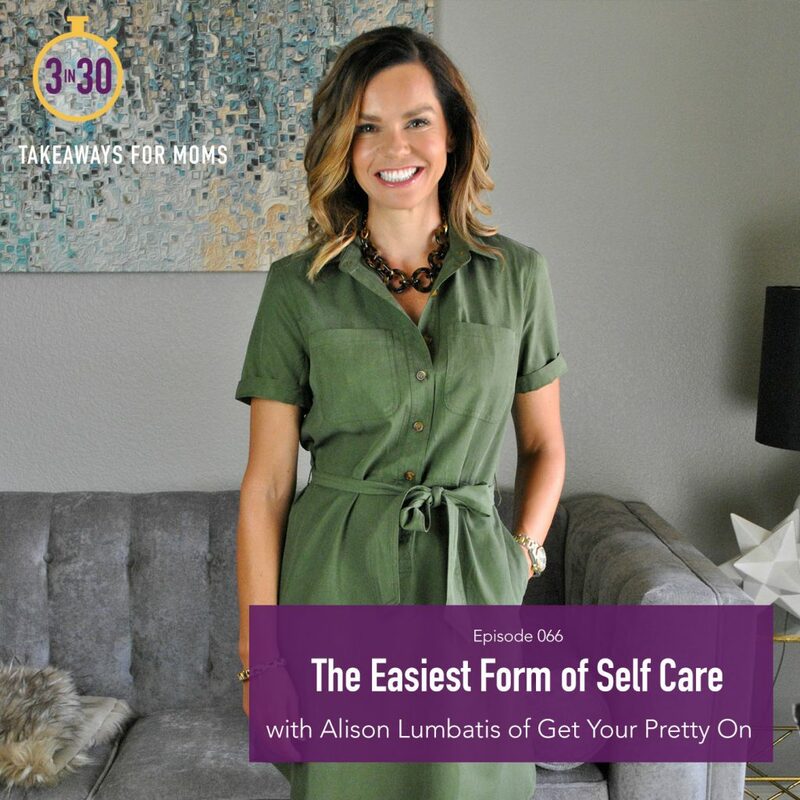 If you often go to bed feeling like you will never get caught up on all of your responsibilities, wondering how you could’ve worked so hard all day and still have a massive to-do list, this episode is for you. 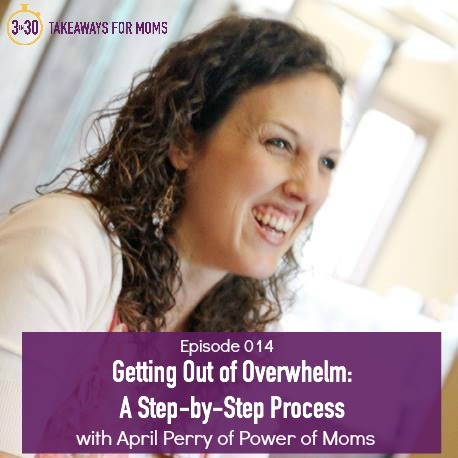 April Perry, the co-founder of the websites Power of Moms and Learn Do Become, shares a step-by-step process for getting out of overwhelm. 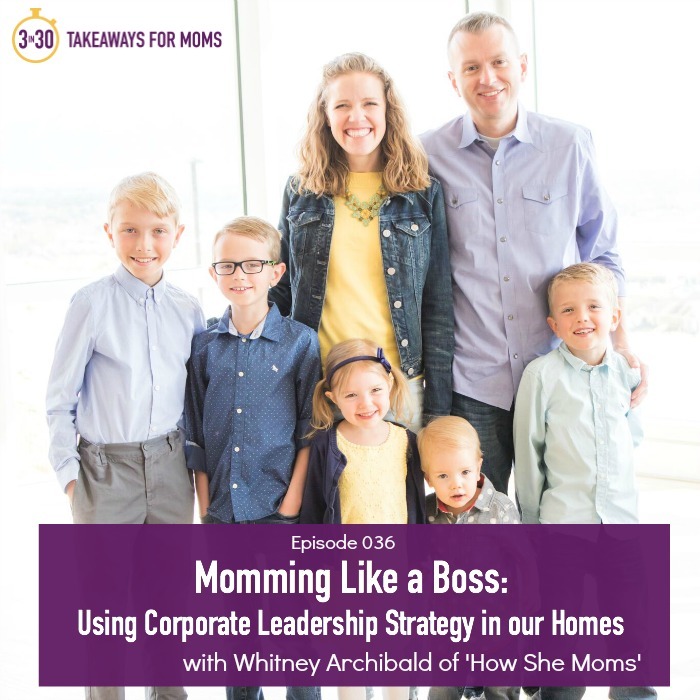 April has spent thousands of hours developing time management systems that help important people–from business leaders to mothers–organize their *minds* so they can focus on their true priorities, get more done, and be more present with their families during downtime. 2) Narrow that list to no more than 7-8 projects to tackle this month. Put that shorter list in a visible place to reference often. 3) Using that list, identify tiny “next actions” that will move each project forward. For more about April’s organization systems, please visit learndobecome.com/STEP. It’s the witching hour–when you are trying to get dinner made–and your four-year-old son is whining that there’s nothing to do. You walk with him to the playroom, only to find that he has dumped out every bin of toys, yet can’t seem to find anything suitable to hold his attention. 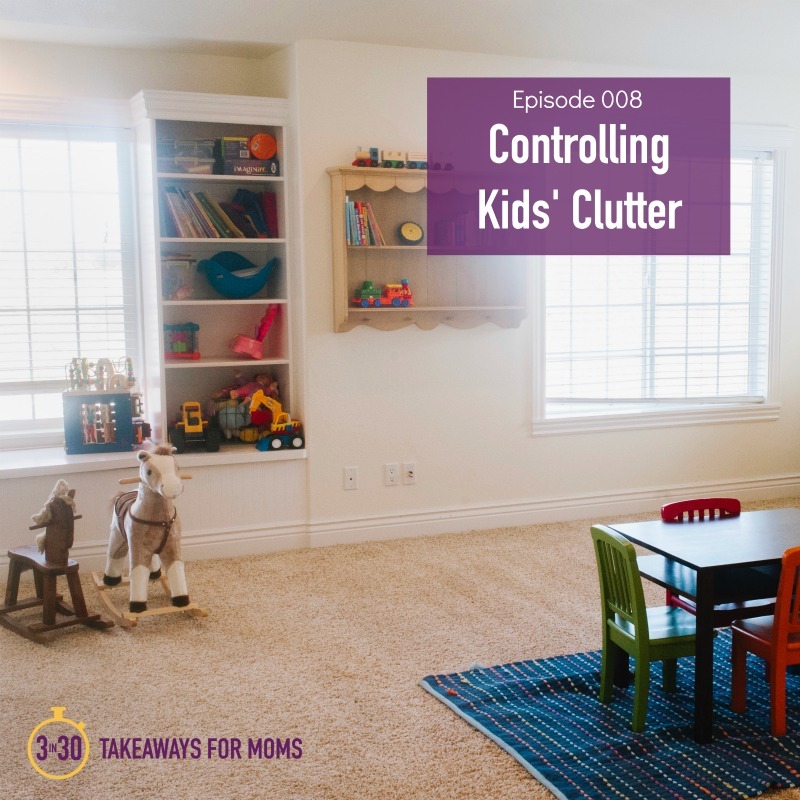 Unable to face the mess of Legos, cars, Magformers, and stuffed animals that are now strewn everywhere, you simply close the door to the playroom and pretend it doesn’t exist. You turn on the TV to keep your little man occupied, and you wonder, What new toy should we get him for Christmas that he will actually play with?